[SLEEK, MINIMAL, AND CHIC IPHONE 8 HEART CASE] This iPhone 8 case has heart-shaped cutouts at the corners and on the back of the case, making this one of the cutest iPhone 8 case for girls. [DUAL-LAYER PROTECTION] Dual layer polycarbonate (PC) and thermoplastic polyurethane (TPU) with raised bezel protect your iPhone 8 from unwanted scratches and bumps. 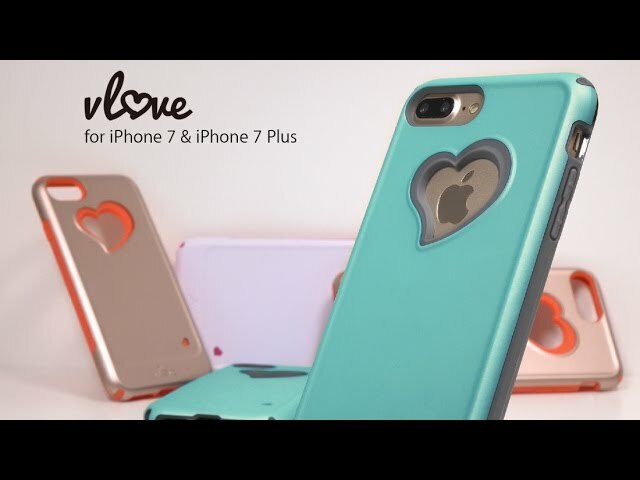 With heart-shaped cutouts on the corners and on the back of the case, Vena vLove is uniquely designed to protect your iPhone 8 while maintaining the sleek, minimalist, and chic look to your phone. Vena vLove iPhone 8 case features polycarbonate (PC) hard shell and thermoplastic polyurethane (TPU), providing your phone all-around drop and scratch protection from everyday use. The high quality shock absorbent TPU does not stretch out over time. With CornerGuard TM technology and unique pattern, Vena vLove protects your iPhone 8 and disperses the force from shock and impact through the TPU case. Vena vLove is designed with precision cut-outs to suit the iPhone 8 and provides effort access to all ports, buttons, and features. The beveled power and volume buttons are crafted to maintain the same great tactile feedback from your phone’s buttons.